´I will kill you all´, said the illegal Revava settler hurling abuses in Hebrew and in English at Abu Saed and a group of IWPS volunteers accompanying him, as he surged from his house into the olive field. He insisted that they clear of ´his´ land and Abu Saed calmly replied ´This is my land and I am picking my trees without threatening anybody´. The soldiers guarding the harvest group responded quickly and removed the settler and his father who joined in a bit later. 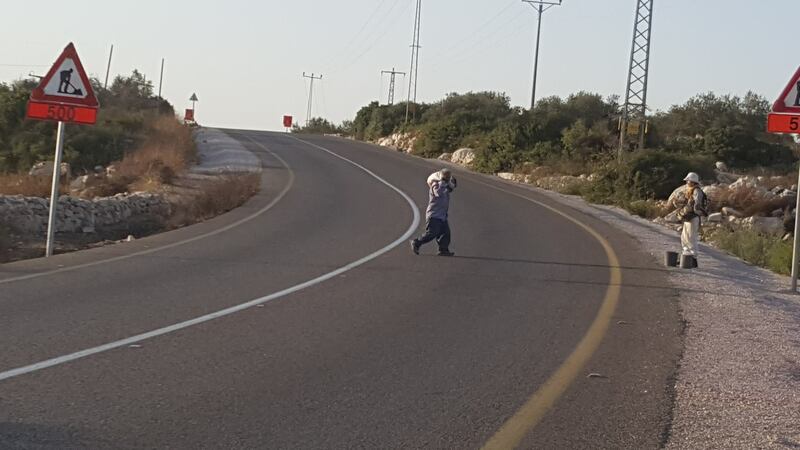 This happened yesterday on October 13th and the only unusual part of this story is that the soldiers actually intervened to protect the Palestinian farmer. Every year Abu Said, a 68 yers old farmer from the village of Haris in Salfit, has to go through hardship just to get to pick his own olives on his own land. The root of his problem is that the houses of the Revava settlement which is being built illegally since 1991, reach the eadge of his land. 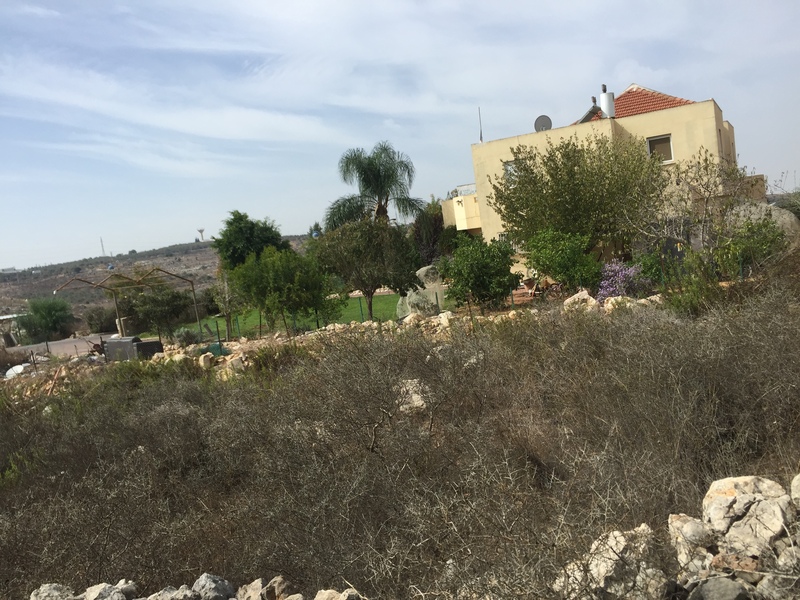 Like in all illegal settlements in the West Bank, there is an area surrounding the settlement, which is claimed to be the settlement security zone, to grab more land from the Palestinians. “Security zones” steal more Palestinian land. A part of Abu Said´s land is within that zone and he has to get a permission to enter it once a year to harvest his olives. This land has been earmarked for grab by the Orthodox Jewish Revava settlers but Abu Said managed to fend their attampts off so far, by winning 16 cases againt the settlers in Israeli courts . This did not stop the settlers to treat the land as their own. About a decade ago they buit a road through Abu Said´s land alongside what they defined to be the settlement security zone. ´I used to have about 600 olive trees here and now only very few are left´, Abu Saed told us. ´Many were cut to create the road and all trees between the road and the settlement were also cut about 15 years ago´. We ask Abu Saed a difficult question. “Would the settlers ultimately take the rest of his land?” He is adament thet they would not get away with it. For Abu Saed this land is his life. Over the years we picked with him, he would always recall the happy times he had as a child with his family during the olive harvests, when the entire family would move there from the nearby Hares until all olives are picked. He always reminded us that as a seven years old child he planted a pine three which is now so massive that it dominates the lanscape. We sit under this pine three when we take our breaks and so do soldiers and the settlers, who have built a concrete sitting place and there is even a mattres left there, possibly used at night by the settlement security. What the settlers and the occupation army can not get by force or through the Israeli courts, they try to achieve by making the lives of people like Abu Saed difficult, hoping that they would give up. This year, Abu Saed was told that he could start harvesting on October 6th. 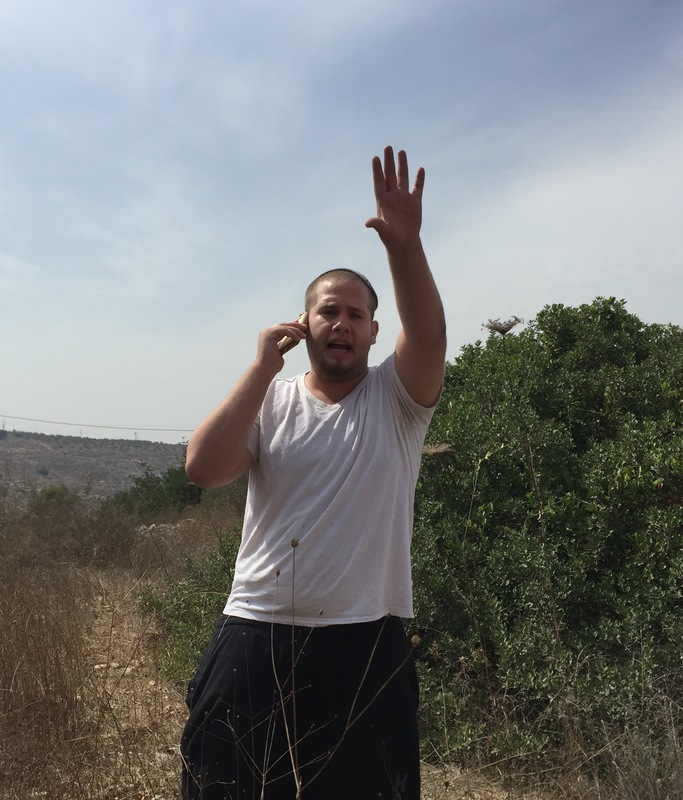 For three days he would go to his land with the IWPS volunteers only to be turned back by the army and the settler security who could not agree amongst themselves if his permit dates were valid or not. This made Abu Saed very upset but he persevered and he went again through the permit issuing process and was told that he could start on Sunday the 11th. We went there early in the morning and were soon followed by seven soldiers and couple of settlement security cars. The soldier who did the talking was dismissive and hostile and insisted that IWPS volunteers should leave their passposts with him. When we refused he abandoned the idea and instead asked Abu Said for his ID which the soldiers kept for the day. So we went picking on that first day watched by two sets of two soldiers who then all left mid afternoon. Why all of a sudden we stopped being a security threat and were left on our own so near the settement, it is hard to explain. The following day we had less hustle to start with, but spent the morning being watched by two soldiers through the sniper like sight on the machne gun mounted on the tripod. Then yesterday, October 13, we had a visit by the settler who promissed to kill us all. The harvest on Abu Saed´s land continues for a few more days and whatever happens it will be a privilege to be a part of his dignified and determined fight to keep his land.